and resign yourself to the influence of the Earth." If there’s one character trait to be understood regarding Cabernet Sauvignon, it is elasticity. Though the word choice may strike you as odd, considering the volumes that have been written lauding the grape’s structure, depth, intensity, etc, an oft-overlooked feature of Cabernet is its ability to be stretched to viticultural limits while producing wines of distinction. I’ve had the opportunity to make it in what some might refer to as “less-than-ideal grapegrowing conditions: picking around hurricanes, burying vines to protect them from snow, and even training two trunks per vine as a means of hedging bets against dangerous cold. But despite nature’s best efforts, Cabernet can grow, and thrive. ​So what makes Pope Valley so special? What is it that separates Cabernet grown here from wines of my past? A substantial aspect of that answer is the fact that we don’t have to take any of those extreme measures. There isn’t a tremendous amount of intervention with our vines; they’ve reached an age where they have outgrown the voracity of their formative years and have begun to self-regulate. 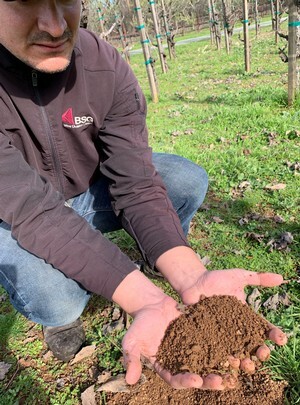 Our fine volcanic loam is incredibly well-drained, meaning that our root systems need to be extensive in order to supply vines with enough water to last the season. Fruit yields are modest (see: humble), skins are thick (thank you, cold nights), and berry sizes are small—essentially, our site possesses the remarkable capacity to do exactly what we desire it todo. 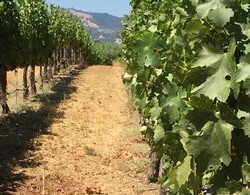 Seemingly, Cabernet was meant to be in this soil, and the wines reflect as such. Those familiar with 2015 understand that the vintage is noted for its concentrated wines. The North Coast was in year three of an extreme drought, and most water tables were near-dry. Though the summer was moderate, considerable heat came in September and berry-ripening was coupled with dehydration. Berries that were already small by nature (and by lack of available ground resources) became smaller. Stunning, really—I’d never seen a season like that. Yields were lower, consequently, and we made less wine; however, that which we did was truly special. A long-winded buildup to describe our 2015 Cabernet Sauvignon, no? Well, if you’re still reading, you’ve been patient—and it’s much-appreciated. Anyway, those small berries worked in our favor. Less juice and more skins resulted in (you guessed it) concentrated flavors with a density that I don’t believe has been achieved on this property prior. Intriguing touches of Cabernet’s trademark herbalness exist on the nose, as if scattered by a deft hand. Dried bay leaves, coriander, and English plum give way to savor aromatic undertones of light-roasted Central American coffee toasted pignoli nuts. Focused acidity keeps everything in line on the palette, and the wine demonstrates remarkable length and tension in a season when many wines developed in the opposite direction. The tannins are fine-grained, and I’d recommend a quick decant if you’re looking to enjoy it early. However, for those who believe that patience and faith will be rewarded, I’d sit on my hands for at least another year.